The 2018 Subaru OUTBACK TOURING has what you are looking for in a crossover SUV...additional ground clearance for ease of entry/exit, and additional cargo capacity. This OUTBACK TOURING has a leather interior with four heated seats, power assisted front seats, and a 2 person memory for the driver's seating position. There are dual climate controls, a heated steering wheel, a moonroof, wood grain interior accents, keyless entry and ignition, a back-up camera with sensors, all-weather floor mats, a power rear lift-gate, steering wheel mounted paddle shifters, a luggage compartment cover, and a rear cargo liner. The infotainment system is a Harman-Kardon touchscreen AM/FM/CD unit with XM satellite radio, Bluetooth connectivity, and navigation. 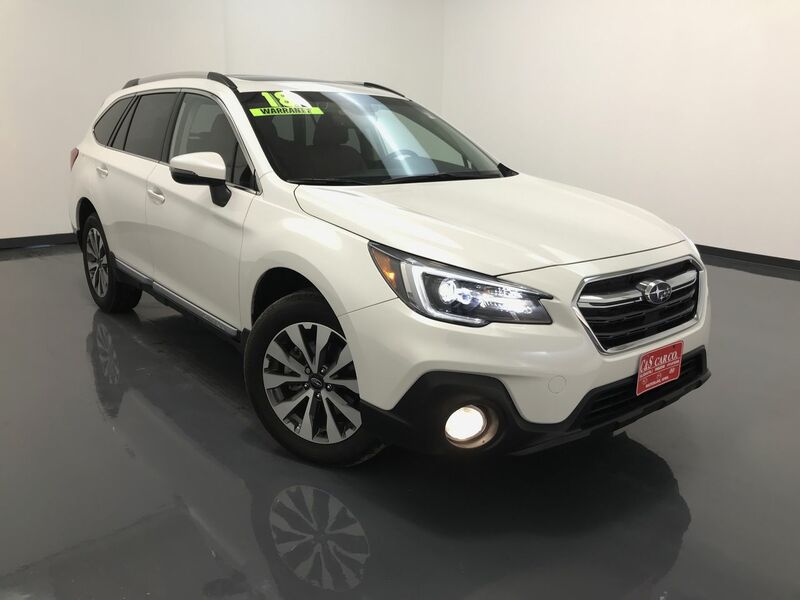 This Outback is also equipped with Subaru's Eyesight Assist Technology, which provides you with pre-collision braking, pre-collision throttle management, adaptive cruise control, lane departure/sway warning, and steering responsive fog lights. There are 18" alloy wheels with Bridgestone tires, rear blind-spot detection, and fog lights. ** One Owner ** Call C & S Subaru at 319-291-7321.